Terence was born in Edmundston, N.B., Canada, and was raised in Madawaska, Maine. He is a graduate of Madawaska High School and is a citizen of both Canada and the United States. In 1985, Terence graduated from the University of Notre Dame in South Bend, Indiana, with a B.A. in English Literature. He attended and graduated from the University of Maine School of Law in 1988 and practiced in Portland, Maine, before joining Vafiades, Brountas & Kominsky, LLP in 1990. He is admitted to practice before the State Courts of Maine, the United States District Court for the District of Maine, the First Circuit Court of Appeals and the Penobscot Tribal Court. Terence’s practice focuses exclusively on litigation matters with an emphasis in criminal law in State and Federal Courts, personal injury law, and employment law. 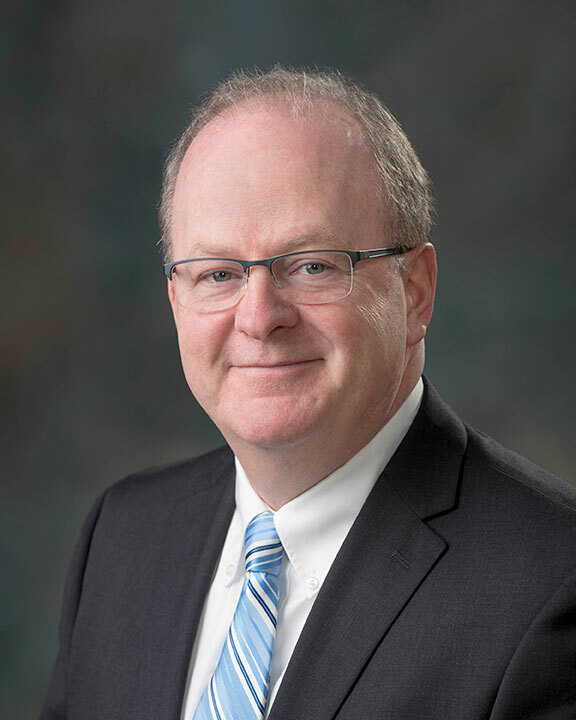 He has been a director and officer of the Maine Association of Criminal Defense Lawyers (President 2002-2003), a former board member of the Penobscot County Bar Association and a former member of the Board of Bar Overseers Fee Arbitration Committee. He is a member of the Maine Bar Association, the Maine Trial Lawyers Associates, the Association of Trial Lawyers of America, and the National Association of Criminal Defense Lawyers. Terence lives in Bangor with his wife and two children.